Sarasota, FL (July 22, 2016) Sport Tech Sales Group www.sporttechsales.com has launched a new Sales Agency Mobile1st website with REPatron. Over 60% of web traffic is from mobile devices and the new website is also designed to share social content across all the popular services. 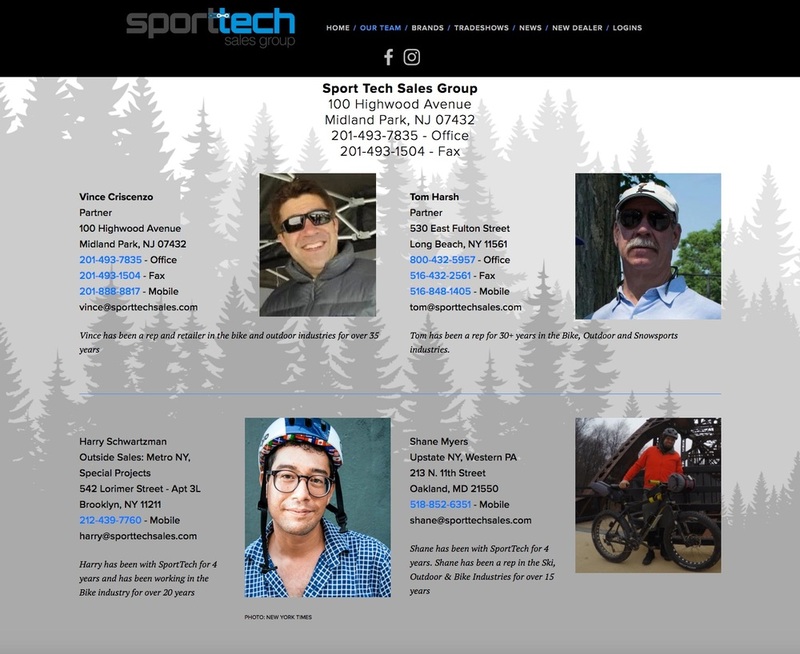 Sporttechsales.com is also the first REPatron powered site to include Brand Dealer Locator Services linked to Locally.com . 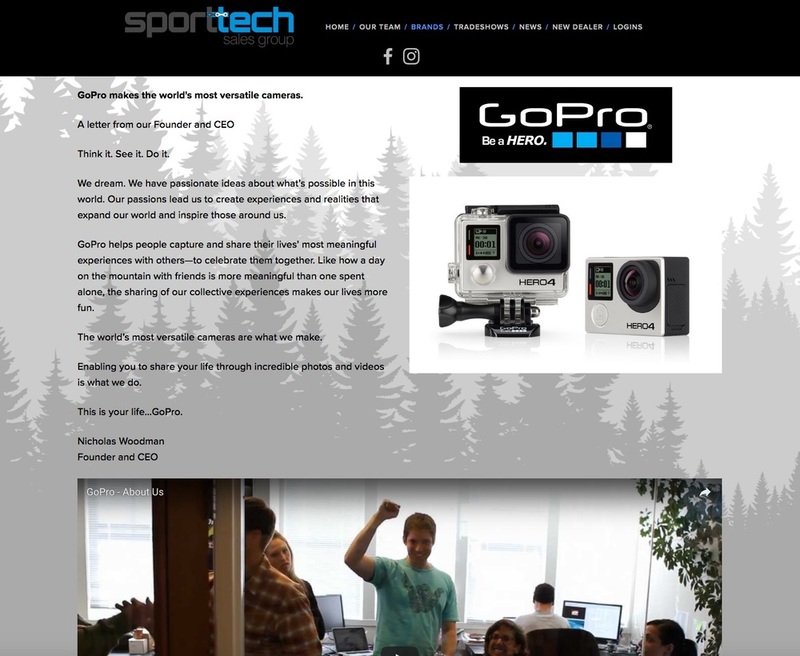 Sport Tech Sales is an established multi-rep and multi-sport sales agency serving the Greater Mid-Atlantic market. Led by partners Vince Criscenzo and Tom Harsh, Sport Tech Sales Group represents leading lines such as GoPro, Giro, Yakima, Blackburn, Bell, PowerBar & Avex. "I've been able to work with Sport Tech Sales for several years now and they are a progressive agency that is always looking out for their retailers," says Peter Pawlus, Principal at REPatron. "Vince and Tom were one of my early customers and we're excited to incorporate new Mobile1st features and add the Locally.com links to help consumers find local retailers for their brands."